So I did it: I ordered a new toy. No, not a Harley-Davidson. Not a fully restored 1965 Mustang. Not a sky-dive or a 130-pound Hungarian Komondor (google it for some awesome). Nah. 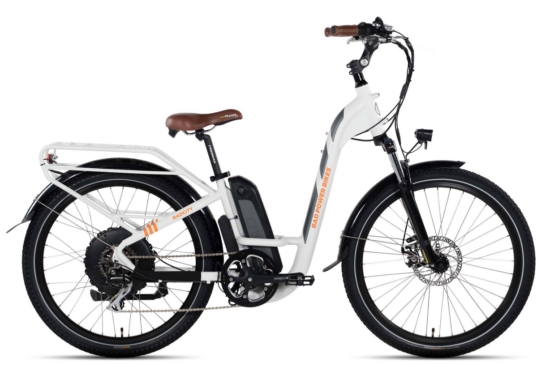 I went and bought me an E-bike (actually us; one for me, one for Susan), though it can’t be considered an impulse purchase so much as a convergence of events: the right product finally coming along at the right price from what appears to be the right company. 2) Ego: Up until a few years ago I was in my riding prime logging 6,000 miles per year on a single-speed bike and didn’t need any type of energized assistance thankyouverymuch. Then a few weeks ago, a Facebook friend and really cool biking dude named Joe Anthony posted a link to a Seattle-based company called Rad Power Bikes and I clicked on over and really liked what I saw. I mean REEEALLY liked. The company seemed innovative and proactive and straight-forward and it reflected in their product line, which for all intents and purposes was comparatively affordable and well-designed. Let me introduce you to the truly rad badass and beefalicious RadRover. In addition there were sa-weeet incentives taking affordability to the next level such as a multi-bike discount and free shipping. That was not a lie, but more correctly is my present physiological reality, borne from getting past the police academy as I did at my already advanced age to get my present job. The cumulative result of countlessly hauling myself over over six-foot walls and fences, trips up and down the infamous Nike Hill, hours of defensive tactics, and miles and miles of laps around the track have left me with some ongiong lower back/sciatic issues. And on those few times since that I’ve mounted my trusty two-wheelers — even for relatively short rides — more than not there’d be some nagging and lingering aches, pains, leg numbness, et cetera. With those things making it tough to get motivated, I ultimately told my ego to shut the funk up and that if it was time to bring in a battery back-up to get me away from the frustration of not being able to get back in the saddle, so be it. My ego was all “Whatevs loser.” And I was all “Fine.” And my ego was all “Fine!” Which is fine. Next up, of course I had to pitch it to my better half. When you’re the type of austere person who happily motors around in an almost 22-year-old truck, and spends time trying to fix $15 box fans that crap out after 10 years of use, it can come as a bit of a shock when suddenly I start wanting to throw thousands of dollars at the internet. 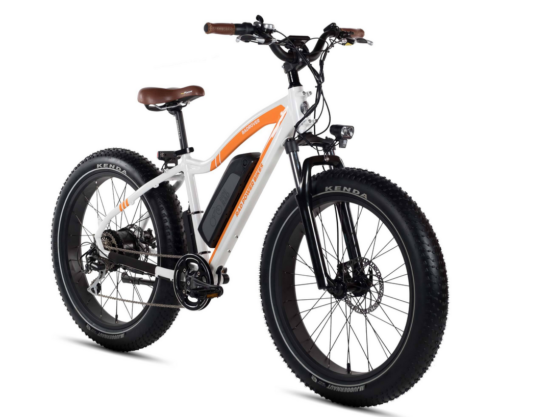 So at her burfdae dinner last weekend, I broached the subject of us getting not one E-bike, but his-and-hers type burfdae giftsesses, and she A) didn’t laugh me out the restaurant, or B) slam her foot down on the floor in total rejection. Her eyes did go wide at the estimate cost-outlay, but I think the idea appealed to her because while she’s enjoyed biking in the past, she’s no fan of hills or of trying to keep up with me (though I would argue that’s probably easier to do now that AARP and Forest Lawn are contacting me on a regular basis). Being able to bike together on a more level playing field would instantly increase opportunities to get outdoors and go roll around town exploring together, which is something both of us miss. This morning, I had her look over the models and she decided the RadCity Step-Thru (also pictured) was the one for her so I ordered them up from the website (www.radpowerbikes.com) and barely hesitated in clicking the submit button. Delivery is estimated at 5-7 business days. So we might be out on the road on or around Easter Sunday! Lastly, I want to give a shout out to Joe who I mentioned up top. In the ordering process the company obligatorily asked how I’d come to hear of them. I started to select Facebook from the drop-down menu options, but no offense Mr. Zuckerborg, I really don’t like giving your company credit for anything accept the further decline of civilization, so instead I chose “Referred by a friend.” That of course prompted a request for the friend’s name,” which I readily entered. I hope it benefits him in some way, and by that same token should this lengthy diatribe ultimately find you ordering up your own Rad Power bike, maybe you could do the same for me. You are currently browsing the [sic] blog archives for April, 2019.